RitFit is a web-based fitness gear retailer aims to empower people by providing convenient workout solutions for our customers. 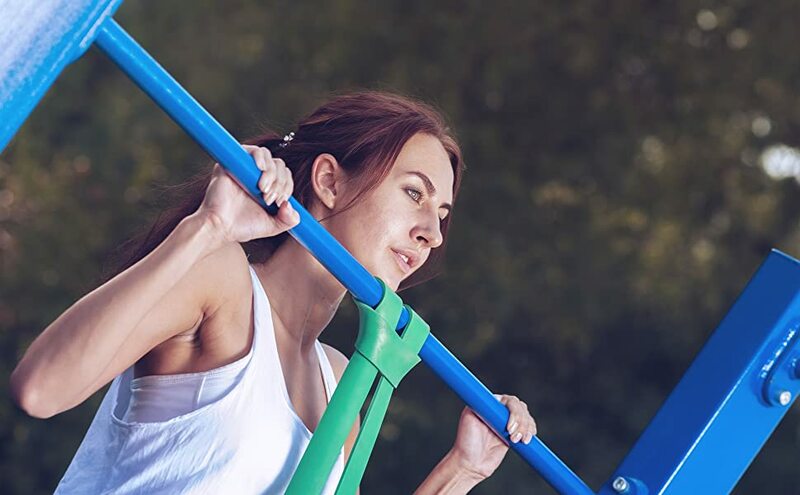 RitFit understands that workout takes sweat, endurance, and perseverance, and is here to provide the convenience our customers need for the workout routines with light, durable solutions. RitFit resistance bands can give you a better support and more ways to training your body. Its professional design suits for people no matter who is new in training or professional trainer. The Resistance Band is made of special natural latex, which is very elastic and odorless. The exercises that can be done with training bands like Yoga, Pilates, Crossfit Calisthenics or Freeletics Workout ect, to assist with pull ups, dips and pushups, whether upper body, legs, abdominals, back, arm. RitFit bands are made of quality material. Continuous layers of tough rubber add a level of resilience and sturdiness that makes these bands outlast any rival. They won’t break on excess stress and won’t be easily deformed. Our bands can assist you with your mobility training. Stretch your hamstrings, your arm and shoulder muscles. Warm up with them before your workout and strecth with them after. Perfect for functional training, yoga, and physical therapy to help strengthen torn ligaments or muscles. Heavy duty resistance bands are even used for most muscle rehabilitation. 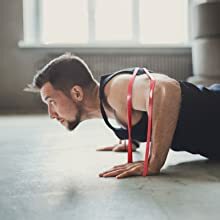 The daily rut of the gym can be enhanced to new techniques by adding resistance bands to your workout. Add more resistance; want less resistance; or simply use the bands in replacement of some of your regular weight lifting workouts. The constant pull of the bands will give more resistance than you think!